And what is the cue we might ask… the queen of diamonds? No, not this time around, rather, the trigger mechanism that has been planted deep within TRUMP’s troubled psyche is activated by the Media, and more specifically, the red light of the live television camera. We saw this ever so clearly during the 2016 campaign, when TRUMP would fix his gaze directly at the press area, looking for the luminous, red signal indicating his image was being broadcast live and in real-time to the masses. Upon landing his eyes on the ominous glow of the red beacon of the television transmission, TRUMP involuntarily submits himself to a force greater than any other in its ability to amplify the narcissism of the human soul, to feed the addiction to power, to gain control over mobs in the seductive glory of collective hysteria. The red light is the cue, the trigger, the mechanism that has so completely washed away TRUMP’s ability to feel empathy, moral clarity, or compassion. It is the omniscient presence of the Broadcast, the invasive effects of the live television image to take control of the human mind, that has brought him under the spell of demagoguery. If we want to understand what is taking place in the forbidden interior of TRUMP’s neurological condition, we need look no further than the so-called “fake media.” Why are they fake in his whitewashed mind? Is it because the Media challenges him, contradicts him, fact-checks or sheds illumination on his deception? No. It is because they are his ticket, his passage into demagogic never-never land. They provide him entry into the Grand Narrative of his surreal dreams of total fakery. It is because they fuel the code he lives by, his raison d’etre, his divine calling to be the richest, most talked about, most celebrated, most adored, and ultimately, most powerful fake human on the face of the earth. 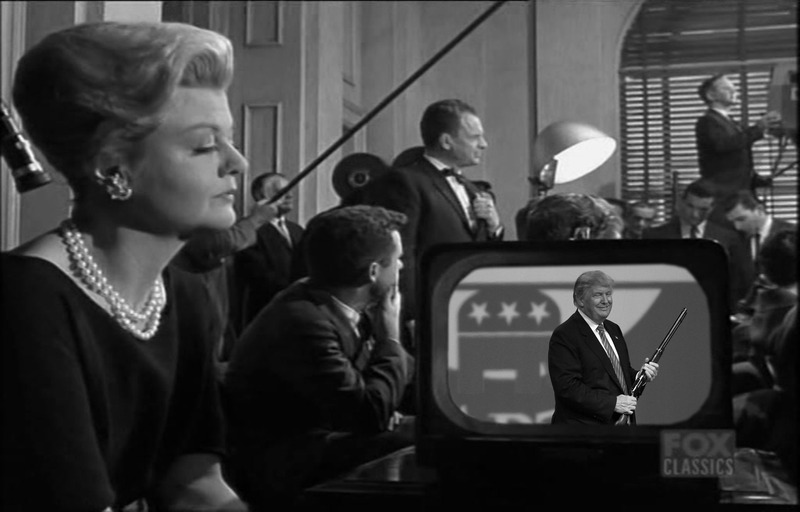 The Media, and its always-on, continuous, ever-present Broadcast transmission is the mechanism for brainwashing TRUMP as the Manchurian Candidate. Together, they are symbiotically, parasitically, a ticking time bomb deconstructing whatever vestige of the real we still cling to for dear life.